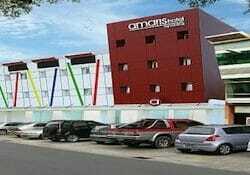 Amaris Nagoya Hill Hotel Batam is one of the latest budget hotels in Batam. 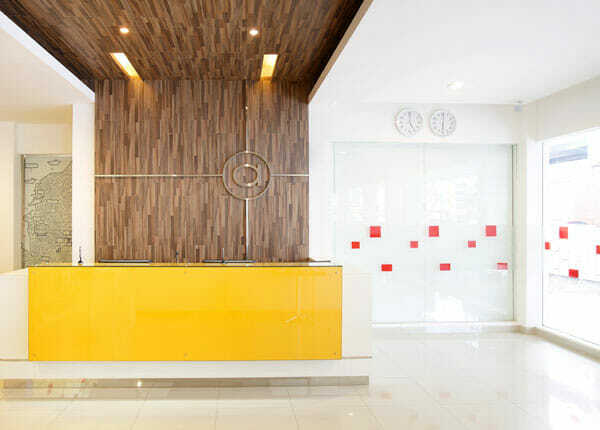 It’s a brand under the established Santika hotels & resorts group. 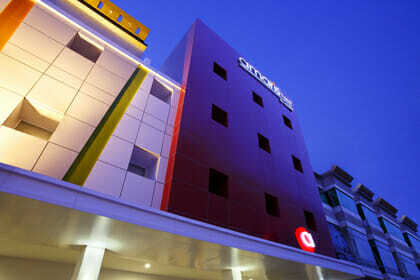 There are Amaris hotels in more than 30 destinations, including Singapore. It’s featured in our review article Top 5 ‘Cheap & Good’ Hotels in Nagoya, Batam. Our 2D1N Amaris Hotel Batam package consists of a 2-way ferry tickets from Singapore, 1 night stay with breakfast, and 2-way Batam land transfers. You have the option to upgrade to a 2-days-1-night tour package that also includes a city tour with seafood lunch and 60-min body massage. This 3-star hotel is a mere 2-minute walk away from Nagoya Hill Shopping Mall. Hence, it’s one of the top choices for business and leisure travellers from Singapore. Other 3-star hotels in this Nagoya Hill Shopping area include: The Hills Hotel Batam and Ace Hotel Batam. 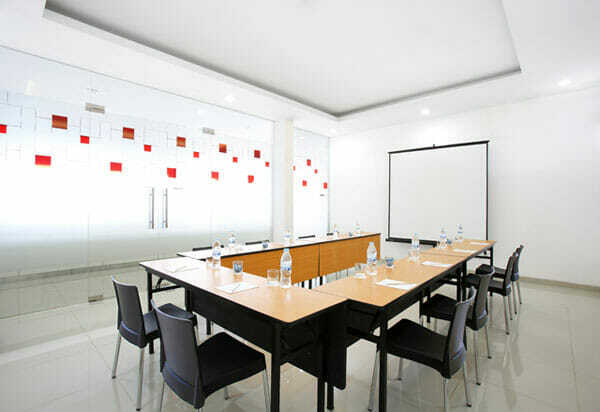 For 4-star hotels, consider the Nagoya Hill Hotel Batam and Grands I Hotel Batam. The reputable & prestigious spa centre, The SPA Secret Batam, is just directly across the street. Right around it, there are also many other spa centres and food outlets for you to enjoy. Whether you are travelling solo, with your loved ones, or friends, give this hotel a go! As a 3-star hotel chain that’s part of a big hotel group, you can expect all the basic facilities to be available for your stay. A standard package rate applies for weekend and weekday stays. Do take note of peak surcharges that might be levied on some public holidays. This promotional Amaris Hotel Batam Package (Nagoya Hill) includes 1-night stay with breakfast, 2-way ferry tickets from Singapore, 2-way Batam land transfers, and option of Batam tour with seafood lunch and body massage. Didn’t expect the location to be this close to the mall. Loving it. Everything is basic at the hotel but good enough for us. Nothing to complain at this price and location. Recommend. just opposite nagoya hill shopping mall! my go to mall for cheap groceries and food!! hubby and myself loves to watch the movie there, it’s only $3 per person? breakfast at hotel needs improvement..
Standard 3star hotel. Minimal but functional. Not much expectation. Location is very good. Compact rooms but the location wise, one of the best, within 20 steps to the entrance Nagoya Hill Shopping Mall, 10 mins walk away to Spa Secret!